Alvin Lucier was born on 14 May, in Nashua, New Hampshire in 1931. Alvin Lucier is an American composer of experimental music and sound installations that explore acoustic phenomena and auditory perception. Alvin Lucier was a member of the influential Sonic Arts Union, which included Robert Ashley, David Behrman, and Gordon Mumma. Much of his work is influenced by science and explores the physical properties of sound itself: resonance of spaces, phase interference between closely-tuned pitches, and the transmission of sound through physical media. 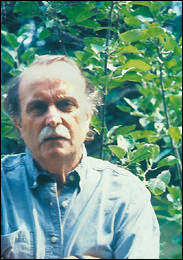 Alvin Lucier educated in Nashua public and parochial schools and the Portsmouth Abbey School, Yale University and Brandeis University. In 1958 and 1959, Alvin Lucier studied with Lukas Foss and Aaron Copland at the Tanglewood Center. In 1960, Alvin Lucier left for Rome on a Fulbright Fellowship, where he befriended American expatriate composer Frederic Rzewski and witnessed performances by John Cage, Merce Cunningham, and David Tudor that provided compelling alternatives to his classical training. Alvin Lucier returned from Rome in 1962 to take up a position at Brandeis as director of the University Chamber Chorus, which presented classical vocal works alongside modern compositions and new commissions. At a 1963 Chamber Chorus concert at New York’s Town Hall, Alvin Lucier met Gordon Mumma and Robert Ashley, experimental composers who were also directors of the ONCE Festival, an annual multi-media event in Ann Arbor, Michigan. A year later, Mumma and Ashley invited the Chamber Chorus to the ONCE Festival; and, in 1966, Alvin Lucier reciprocated by inviting Mumma, Ashley, and mutual friend David Behrman to Brandeis for a concert of works by the 4 composers. Based on the success of that concert, Alvin Lucier, Mumma, Ashley, and Behrman embarked on a tour of the United States and Europe under the name the Sonic Arts Group (at Ashley’s suggestion, the name was later changed to the Sonic Arts Union). More a musical collective than a proper quartet, the Sonic Arts Union presented works by each of its members, sharing equipment and assisting when necessary. Performing and touring together for a decade, the Sonic Arts Union became inactive in 1976. In 1970, Alvin Lucier left Brandeis for Wesleyan University. In 1972, Alvin Lucier became a musical director of the Viola Farber Dance Company, a position he held until 1979. Keep visiting: www.lifechums.com more celebrities featuring shortly …………….